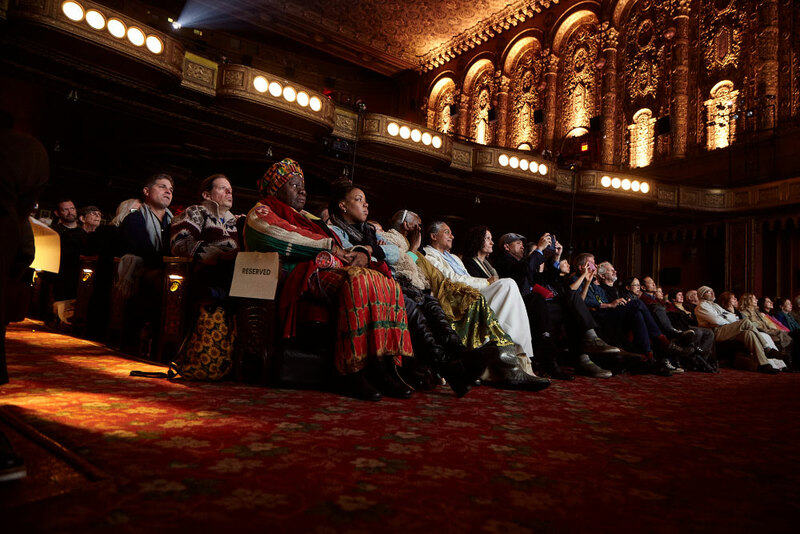 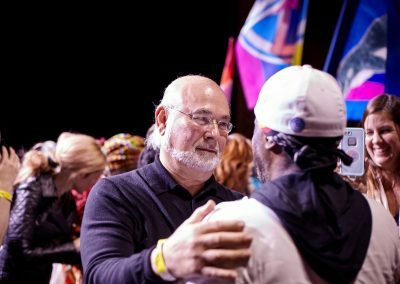 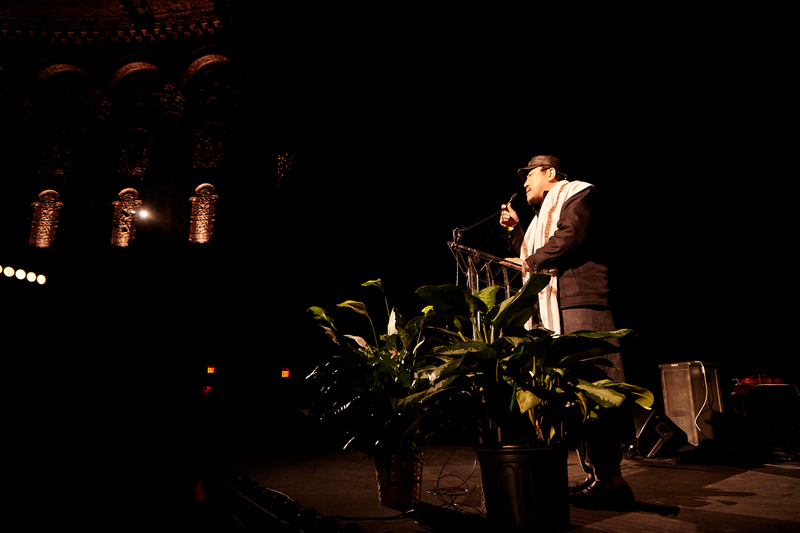 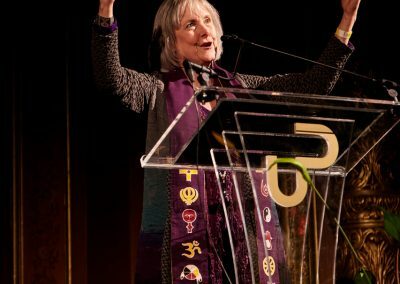 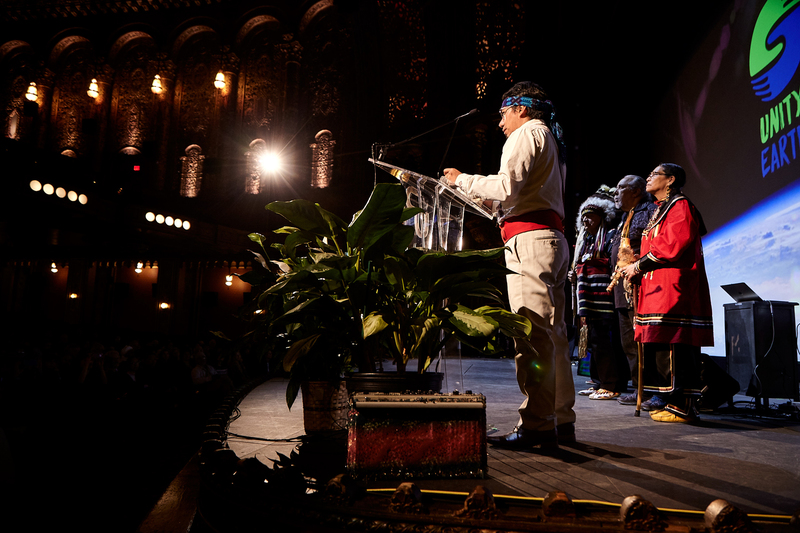 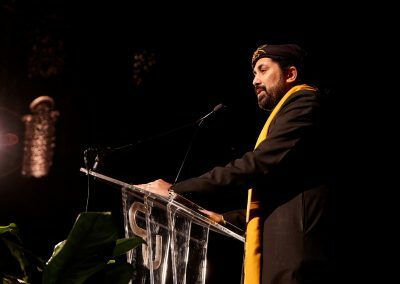 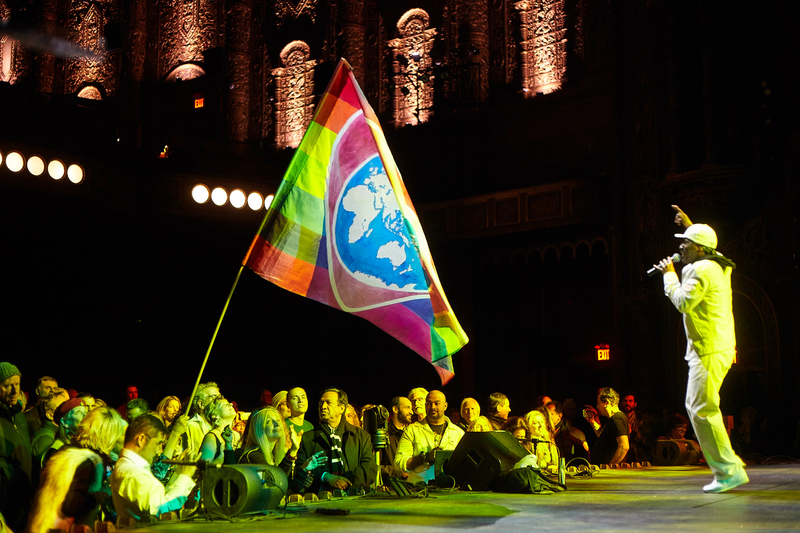 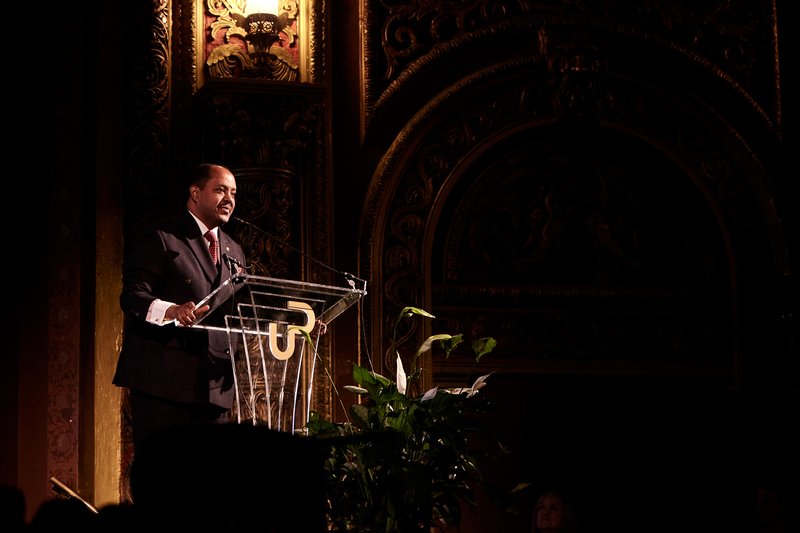 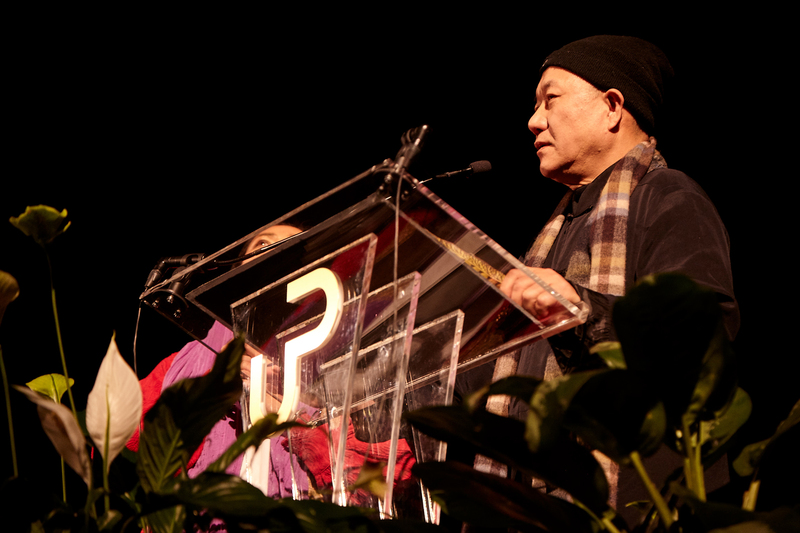 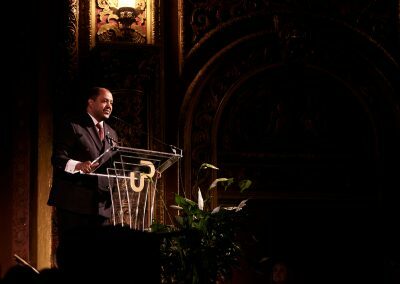 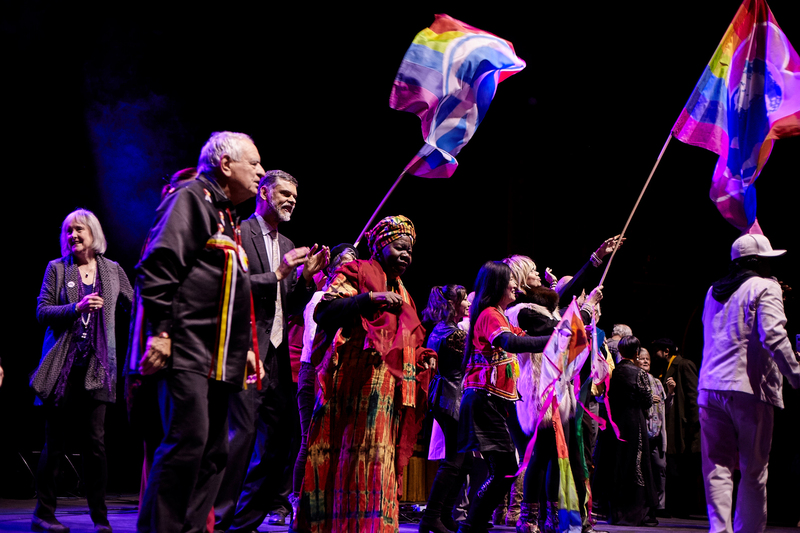 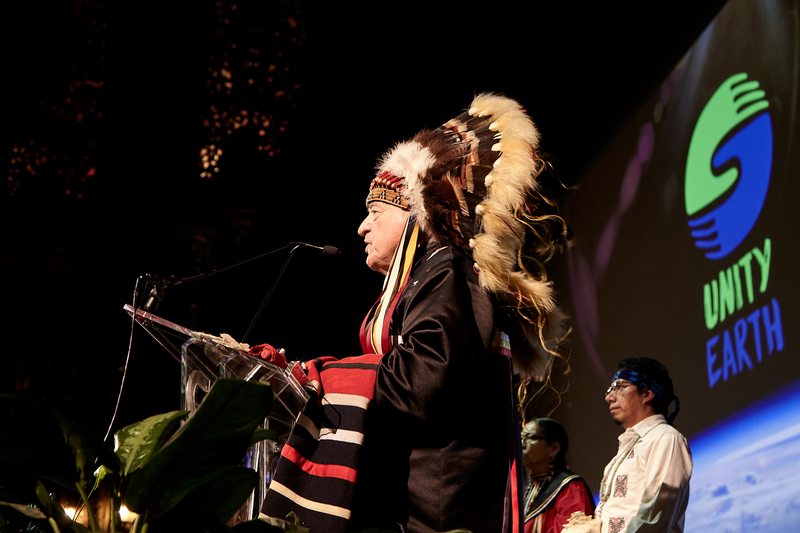 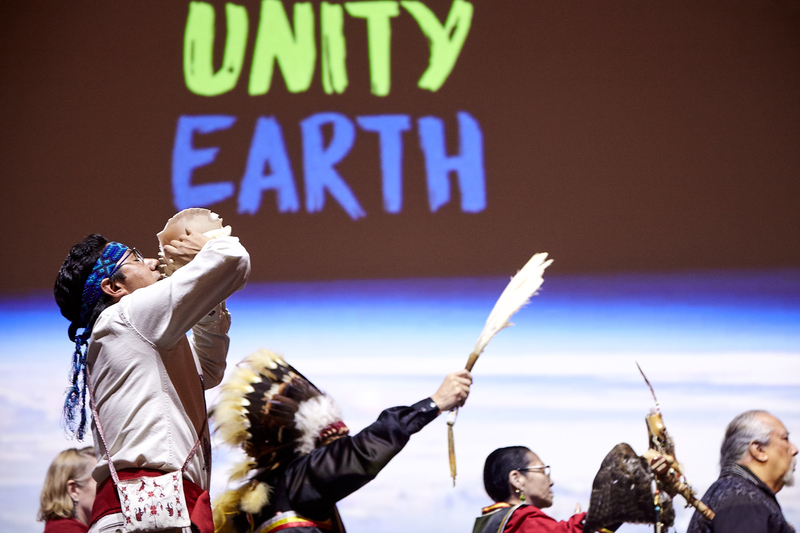 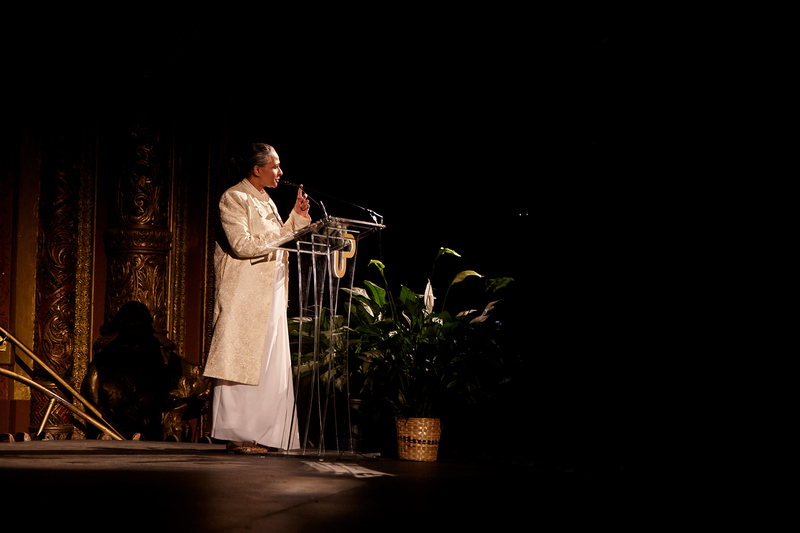 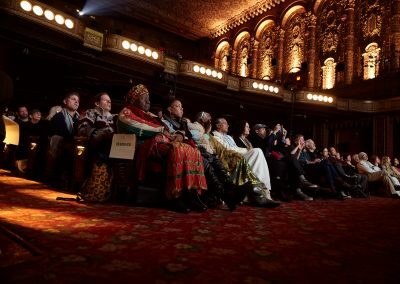 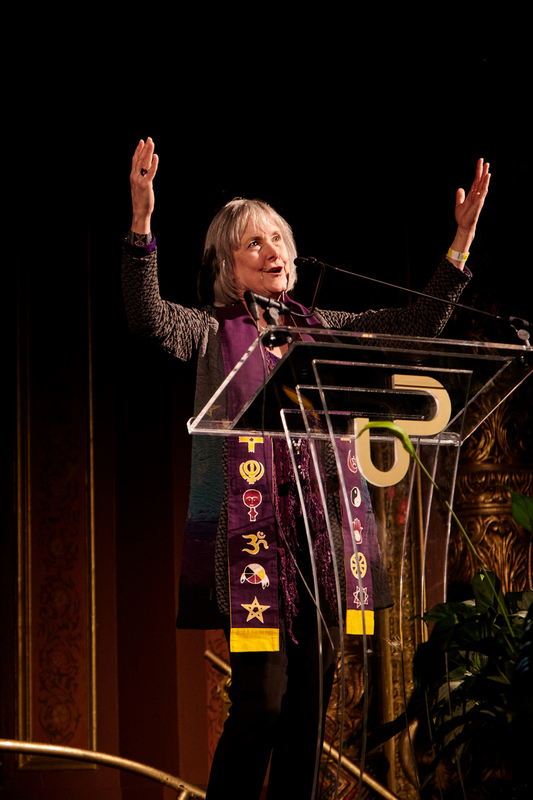 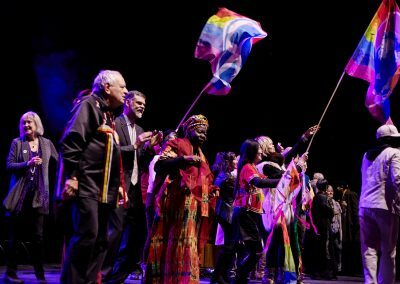 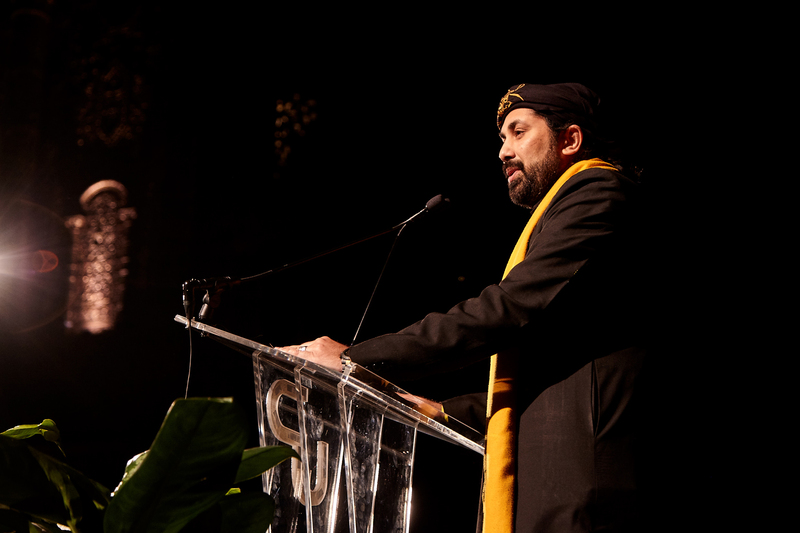 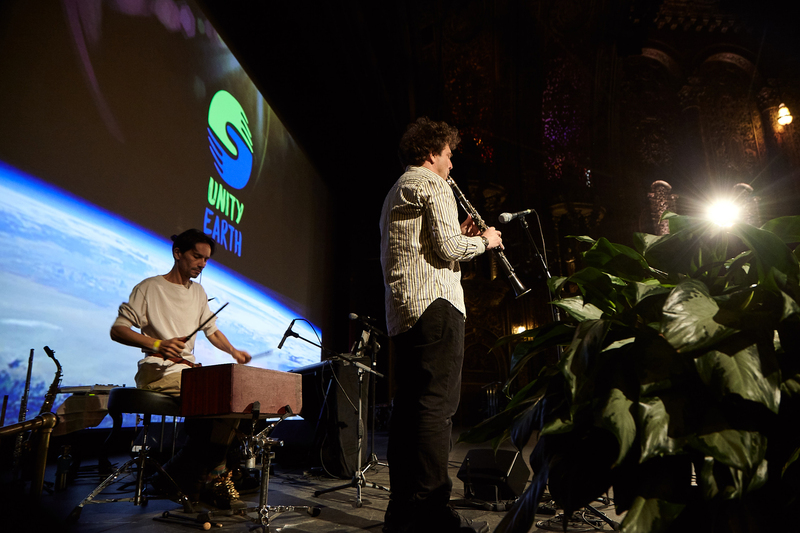 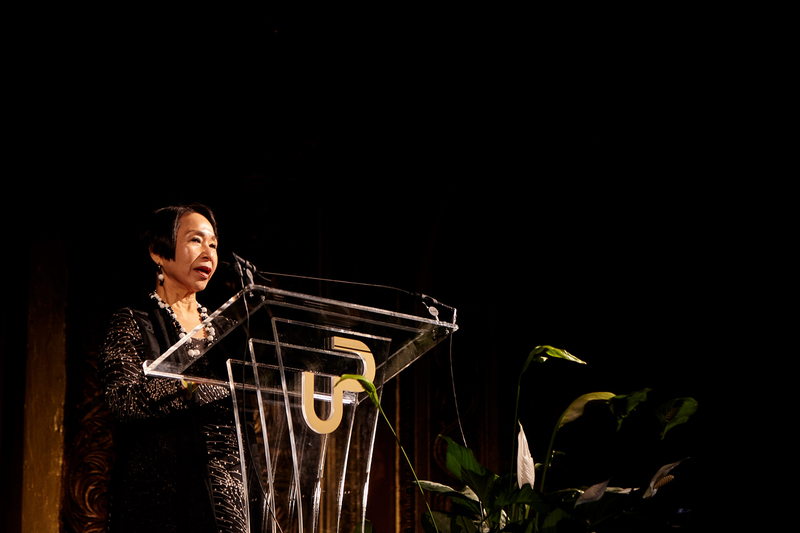 The UNITY EARTH LIFT OFF was an extraordinary spectacle of unity and peace that brought an international line-up of peacemakers, Indigenous leaders, musicians, diplomats, academics, youth and more to the historic United Palace in New York City. 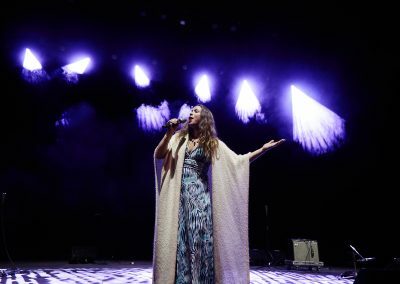 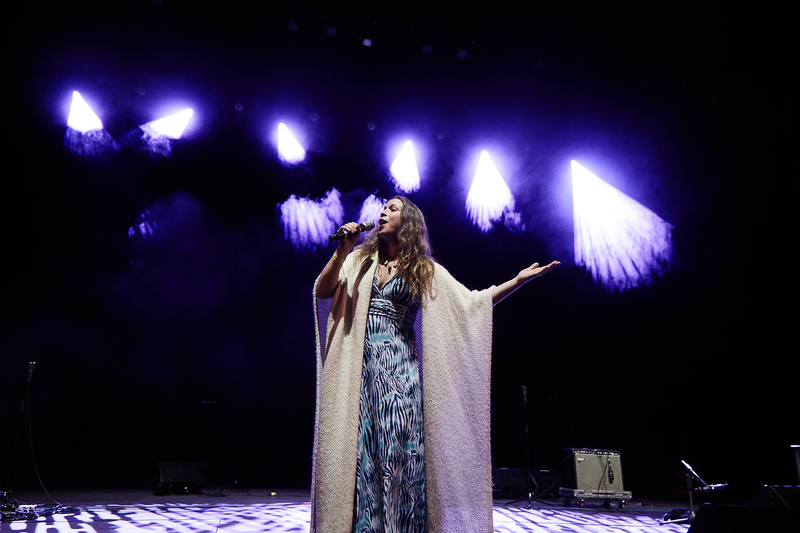 The four hour concert and live broadcast was designed as a showcase and catalyst for The Road to 2020 global event series and its culminating event, the Caravan of Unity Across America. 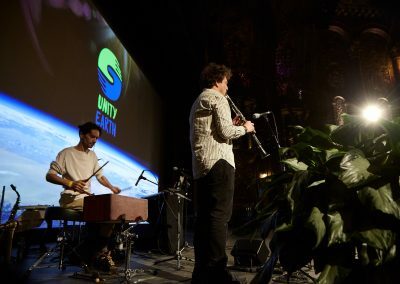 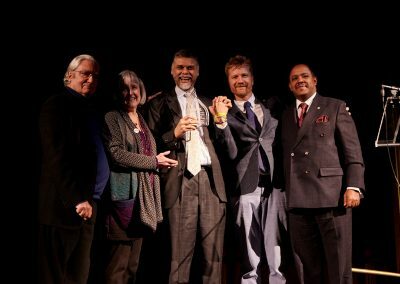 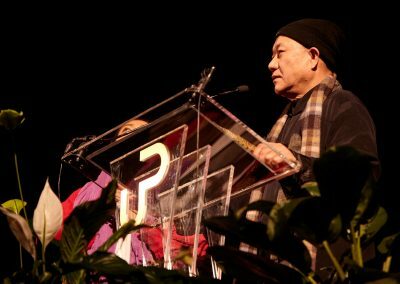 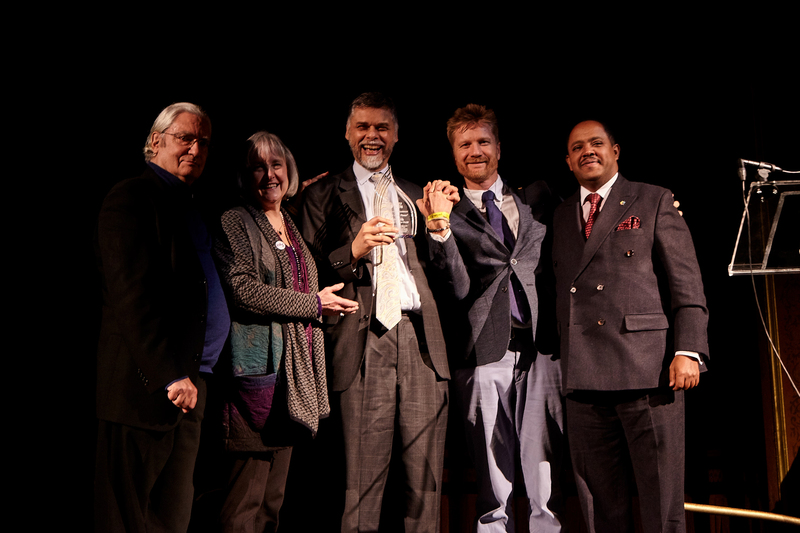 I commend the organizers of UNITY EARTH for convening such a rich and potent gathering of intertwining lives moving together through the power of our hearts to manifest culture, arts, music, film and speeches in a symphony of goodwill, harmony and joy. 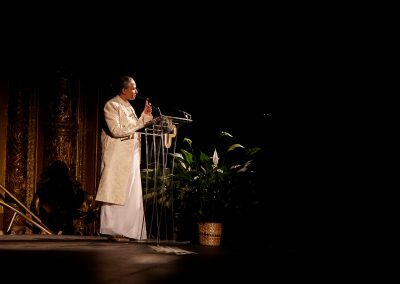 The experience served as a remembrance of the creativity of our inherent inner potential to bring forth sublime beauty while simultaneously having transcendence that returns us to the ground of sacred being from which we all arise. 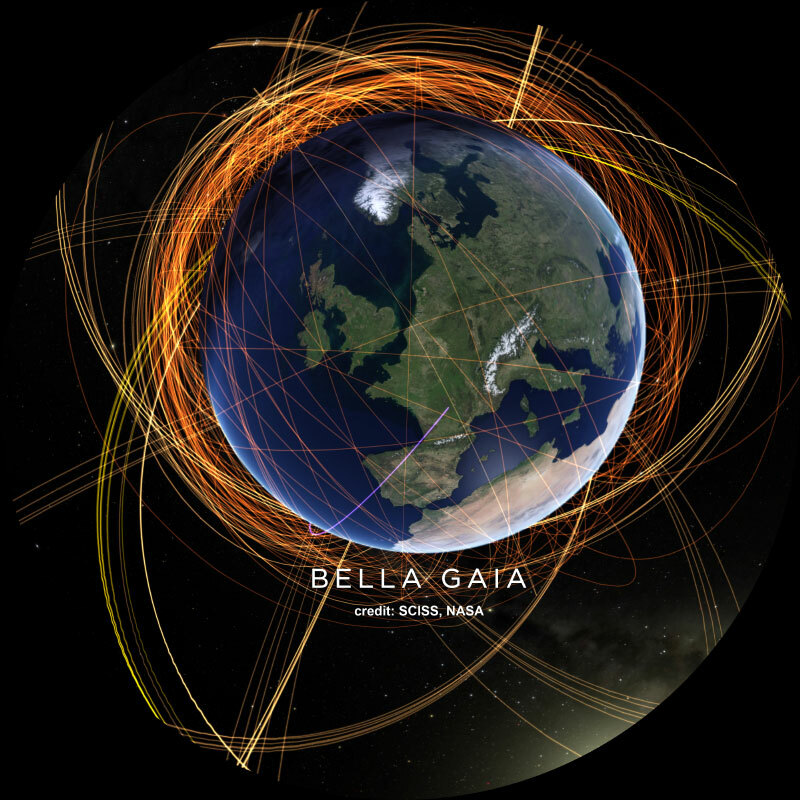 BELLA GAIA is an unprecedented NASA-powered immersive experience inspired by astronauts who spoke of the life-changing inspiration of seeing the Earth from space. 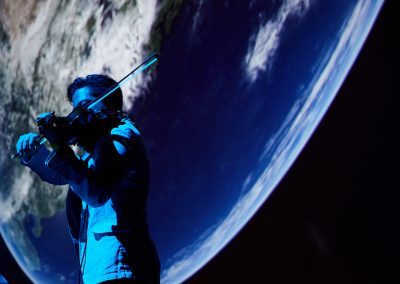 Illuminating the beauty of the planet both natural and cultural and the interconnectedness of all things on Earth, this live concert blends music, dance, technology and NASA satellite imagery to turn the stage into a breathtaking planetary journey. 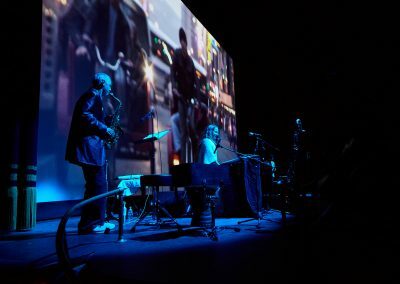 BELLA GAIA is kicking off a national 2019 tour starting in their hometown of NYC with this very special show. 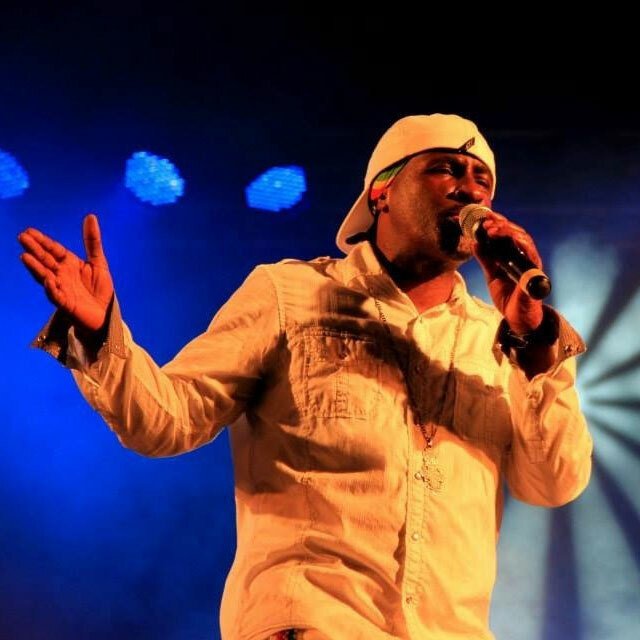 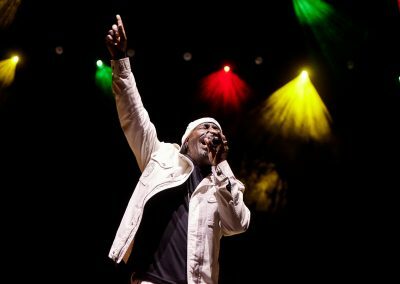 Pato Banton is a Grammy-nominated artist who delivers an empowering performance that is not to be missed and an experience not to be forgotten. 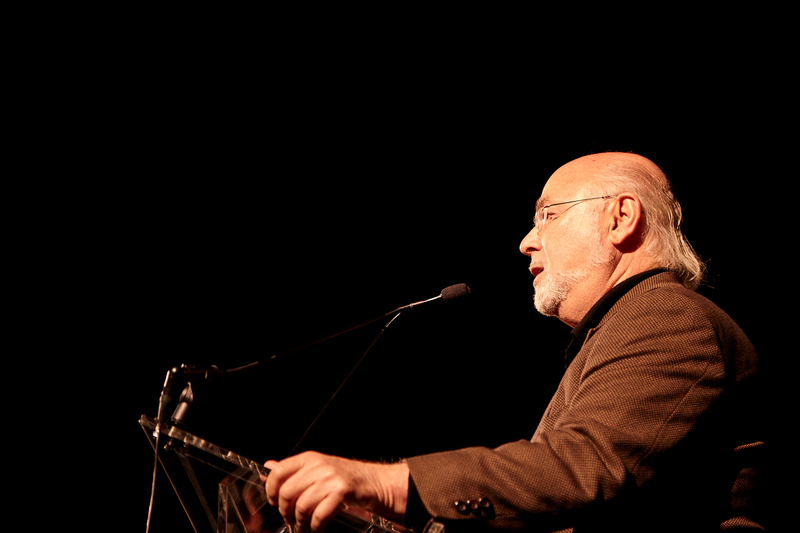 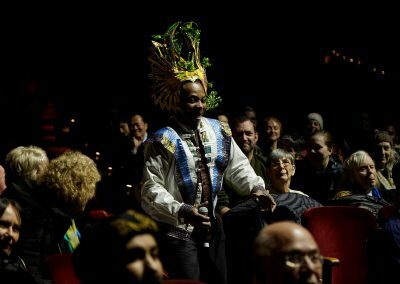 His music is live theatre where no show is alike and audience members become participants in the experience. 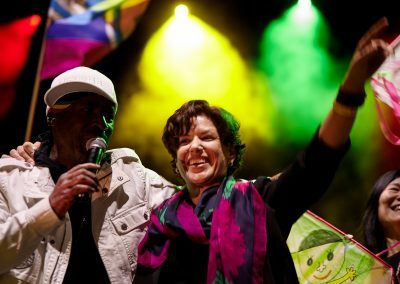 Positive vibrations abound with a beat to keep you on your dancing feet, while Pato delivers a message that is food for the mind and soul. 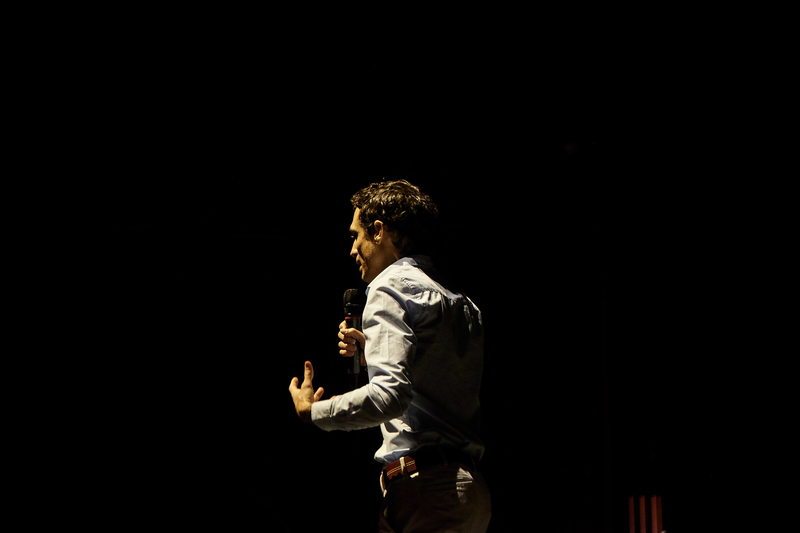 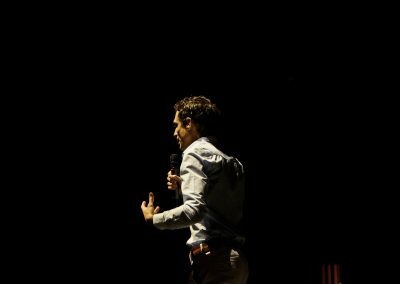 Pato dialogues with the crowd on a range of topics including current events and spiritual freedom while keeping the vibes upbeat and fun! 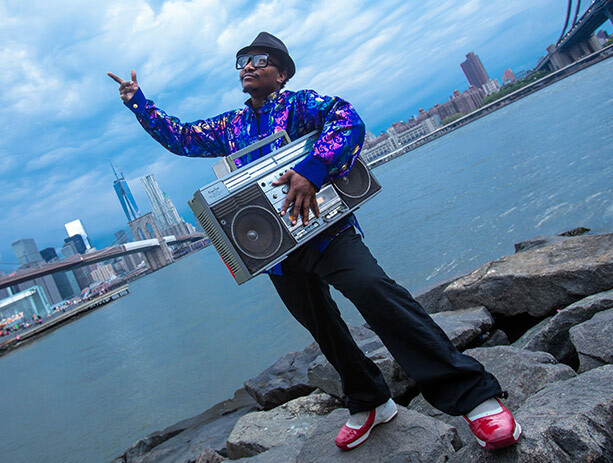 An avid world traveler and self-described old-school B-boy MC, Zimbabwe-born Akim Funk Buddha is known for his holistic approach to hip hop, drawing from a full spectrum of cultural traditions and artistic disciplines. 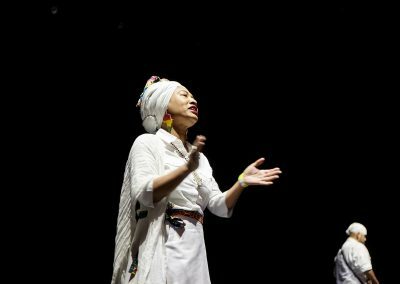 Rhyming, beat-boxing, mouth and body percussion, story-telling, break-dancing, Mongolian throat-singing, Indonesian monkey chants, body-balancing, and martial arts are seamlessly blended to create distinctly spiritual yet urban sonic and visual compositions. 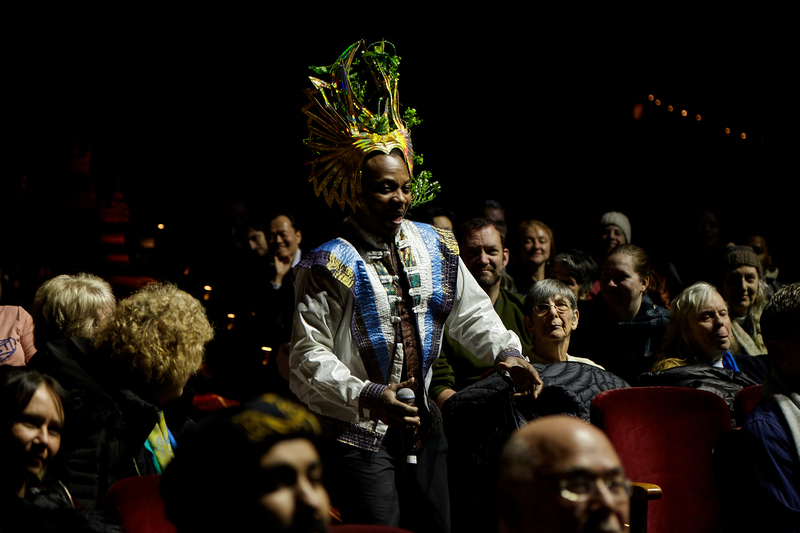 An urban legendary Hip Hop performer and his dance troupe, Akim Funk Buddha’s Bonsai Lab creates a ‘Funk du soleil’ experience merging urban expression with international flavors. 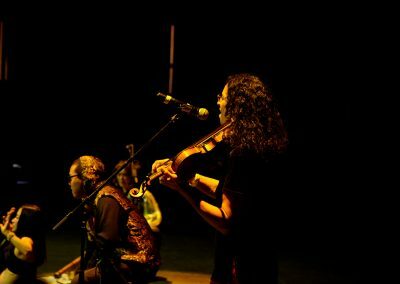 Akim believes that “through the power of music and performance, fear and ignorance can be conquered and the world brought closer together. 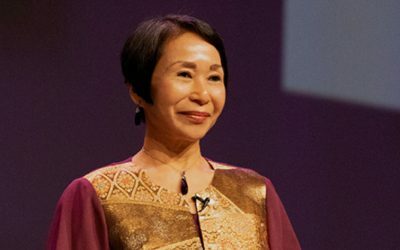 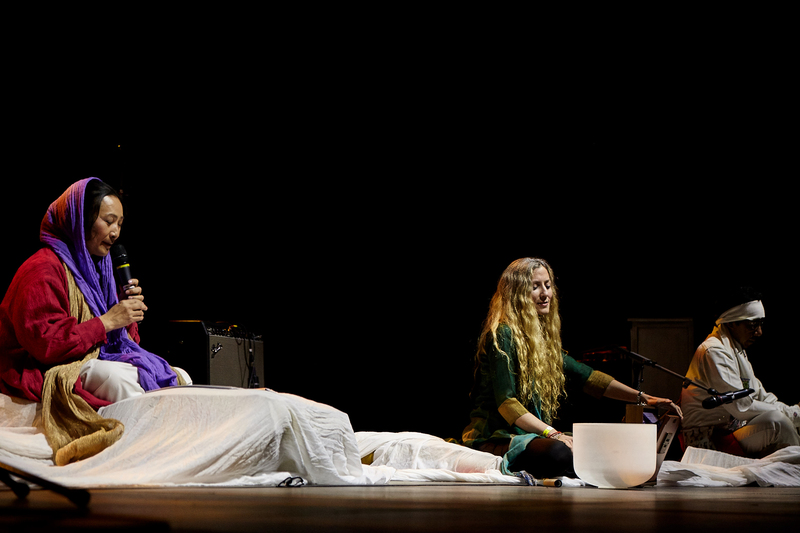 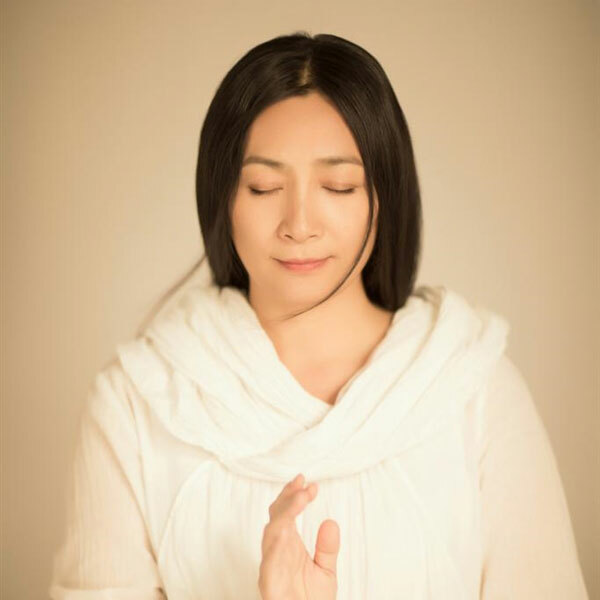 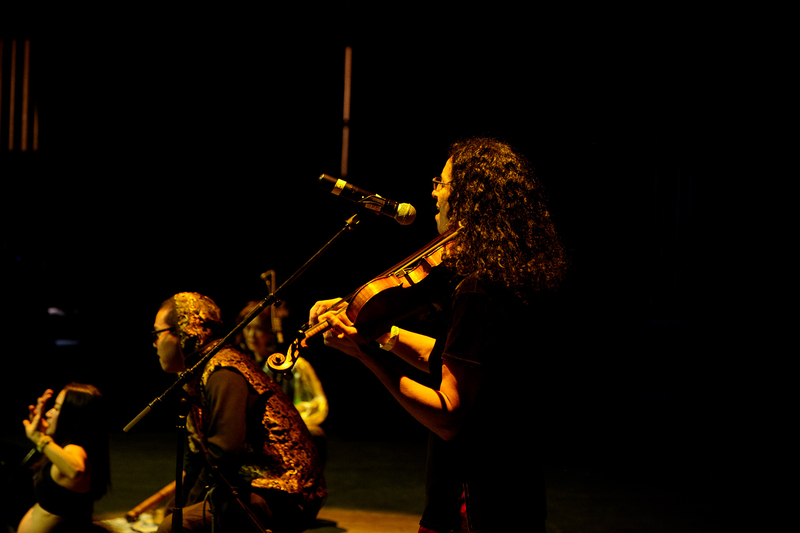 The soothing and meditative chanting of Mystic Voice stems from a deep spiritual connection to the ancient texts that inspire her music, such as the Tao Te Ching, the Buddhist Sutras, the Sanskrit Vedas and the poetry of Rumi. 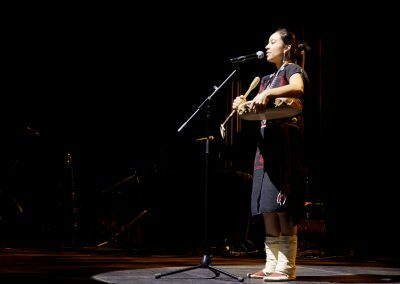 Her healing voice and unique interpretation of those sacred words of wisdom infuse them with meaning and power, felt strongly by listeners from across the globe, even without understanding a single word. 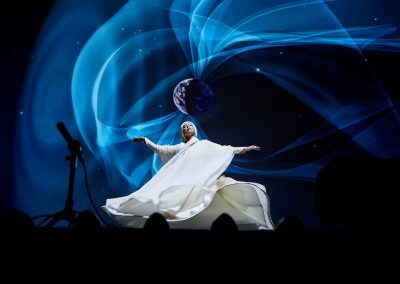 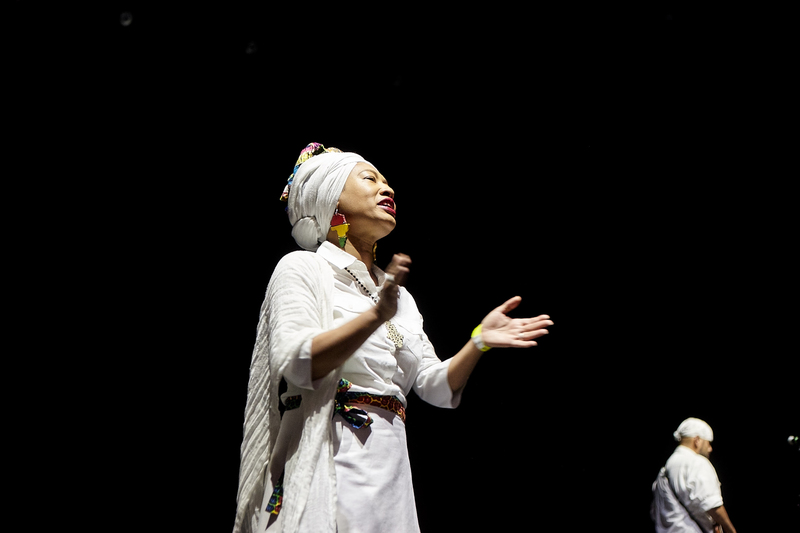 Mystic Voice brings a special healing spirit to East-West relations and is coming to the event with an important delegation from China and Korea. 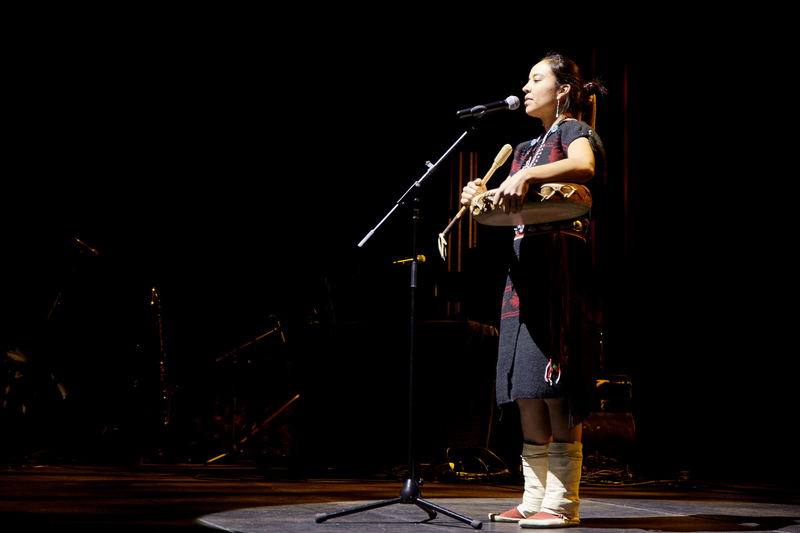 Lyla June is a poet, musician, human ecologist, public speaker and community organizer of Diné (Navajo), Tsétsêhéstâhese (Cheyenne) and European lineages. 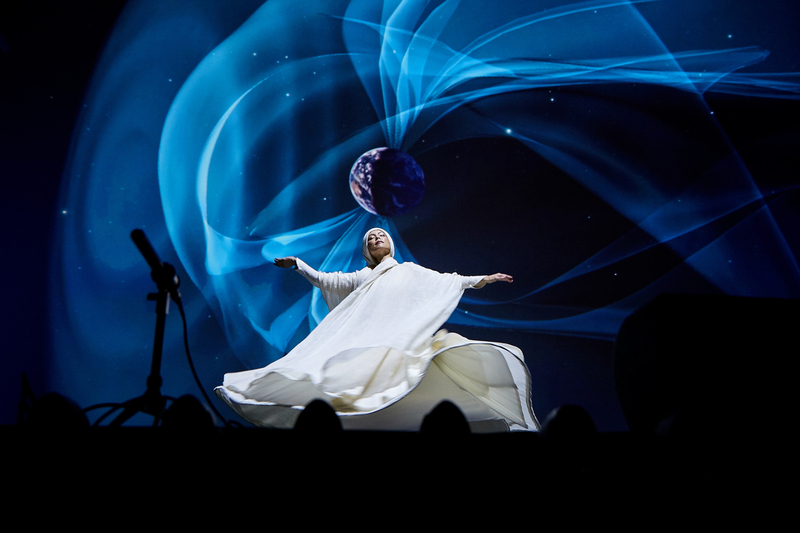 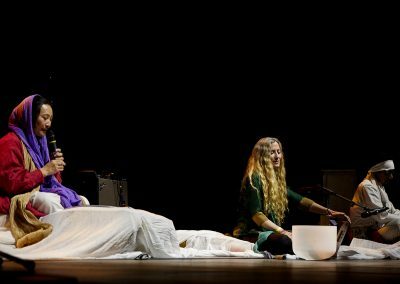 Her dynamic, multi-genre performance style has invigorated and inspired audiences across the globe towards personal, collective and ecological healing. 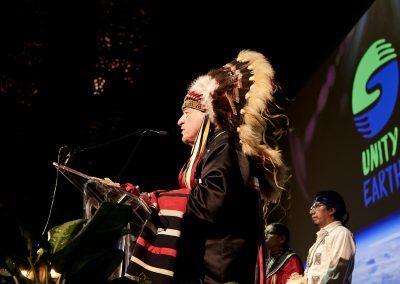 Her messages focus on Indigenous rights, supporting youth, inter-cultural healing, historical trauma and traditional land stewardship practices. 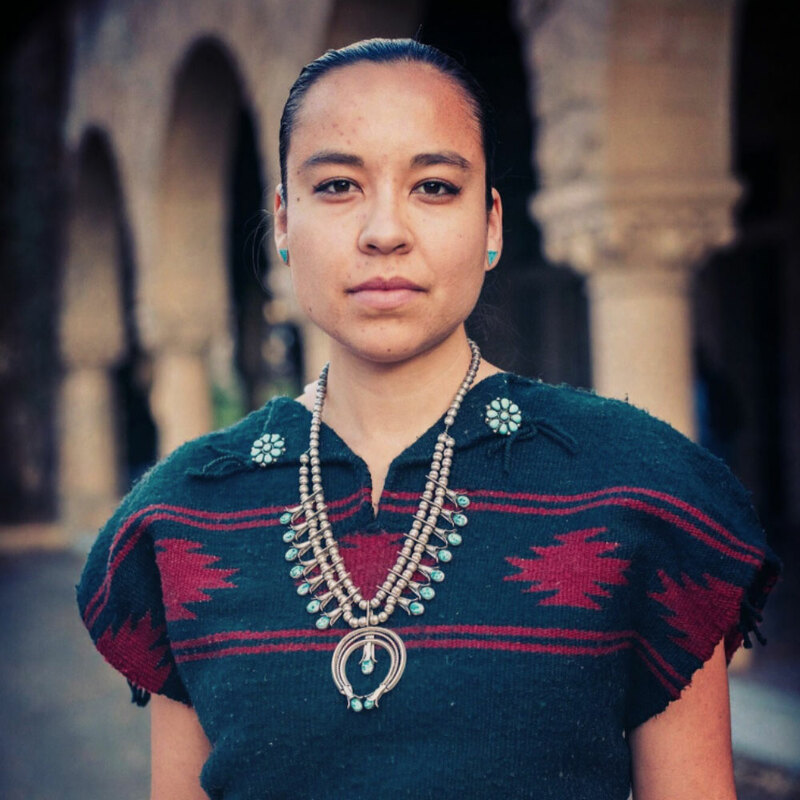 Her undergraduate studies in human ecology at Stanford University coupled with a traditional upbringing inform her potent messages conveyed through the medium of powerful yet prayerful hip-hop, poetry, acoustic song and speech. 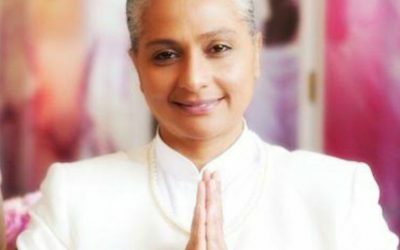 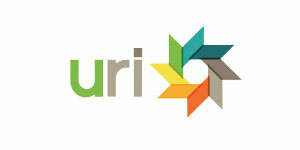 Her personal goal is to grow closer to Creator by learning how to love deeper. 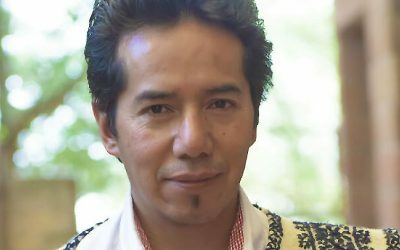 NYC-based Indigenous Caribbean (Taino) & Spanish master percussionist William Ruiz plays tongue drum, log drum, and hand-strung custom Indian bells among other instruments. 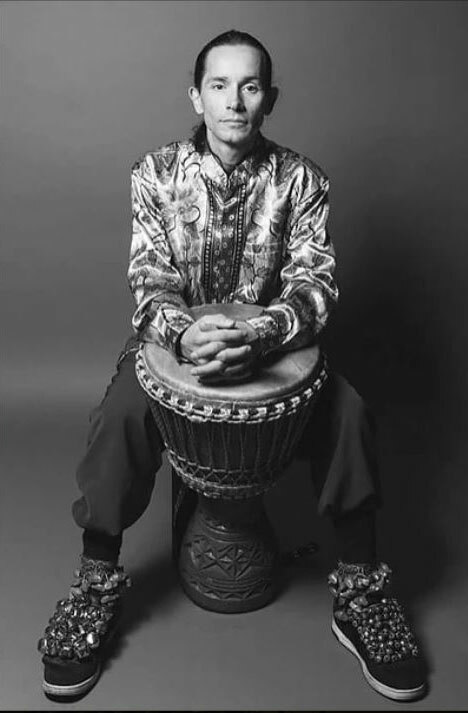 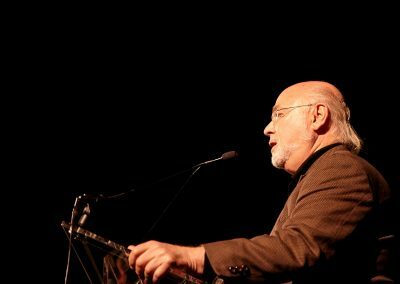 He incorporates his style (which calls Tropical Percussive Jazz, weaving strands of island rhythms, contemporary jazz, Latin percussion, and West African dance music) with the indigenous shamanic rituals associated with spiritual drumming he learned through his travels. 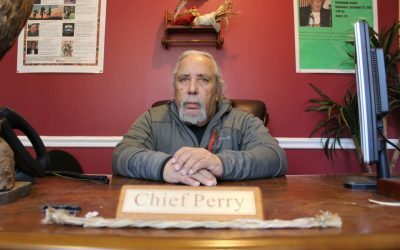 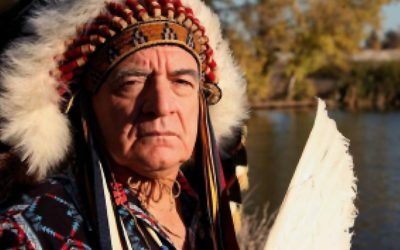 His drumming has taken him to Egypt, Indonesia, the Virgin Islands and Puerto Rico where he performed with master indigenous drummers from a number of major percussion traditions around the world. 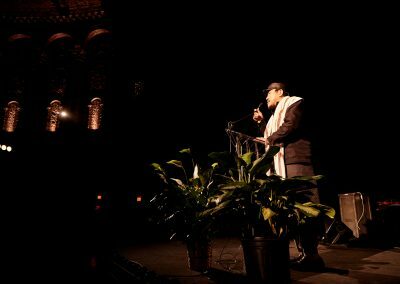 His parents are from Arecibo, Puerto Rico, and Ruiz grew up in NYC. 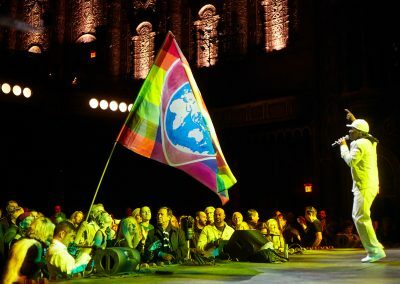 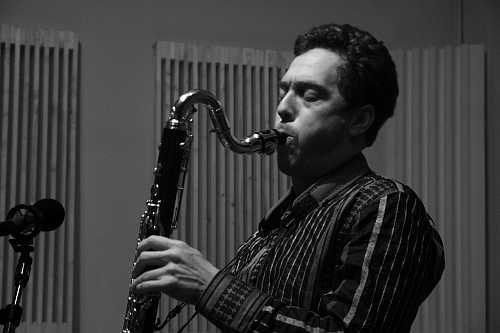 He has played at the UN, on CNN, and at Lincoln Center Out of Doors and can still be found playing in the subways of NYC because “I love doing this, it’s down to earth, and I love New York. 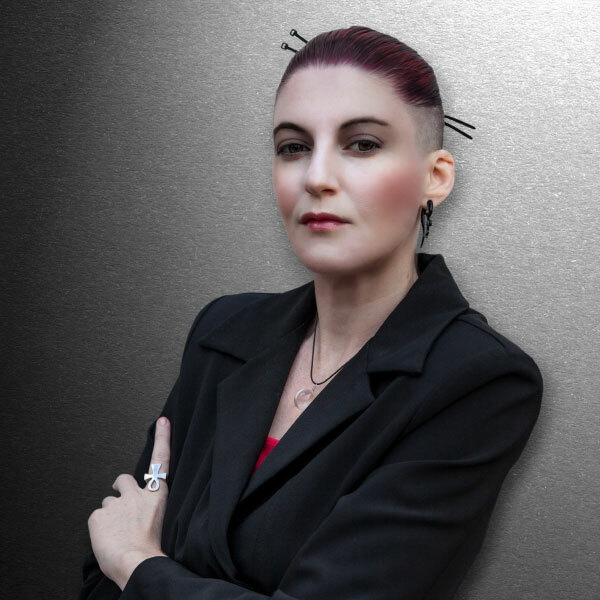 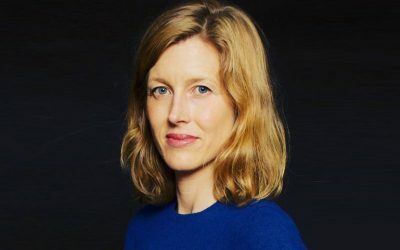 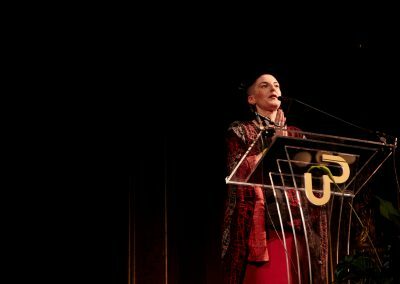 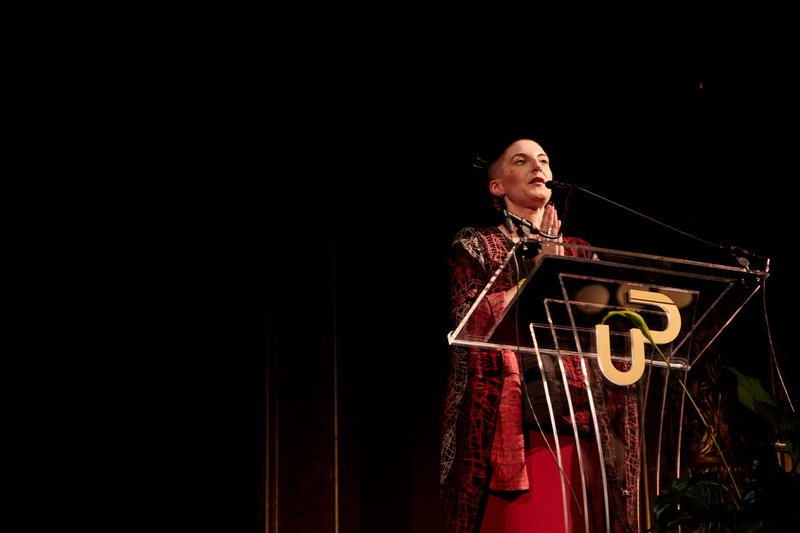 Rhiannon Catalyst, Creative Director of UNITY EARTH LIFT OFF and Tour Manager of BELLA GAIA, has curated and guided 20 years of transformative events and interactive experiences in NYC and beyond. 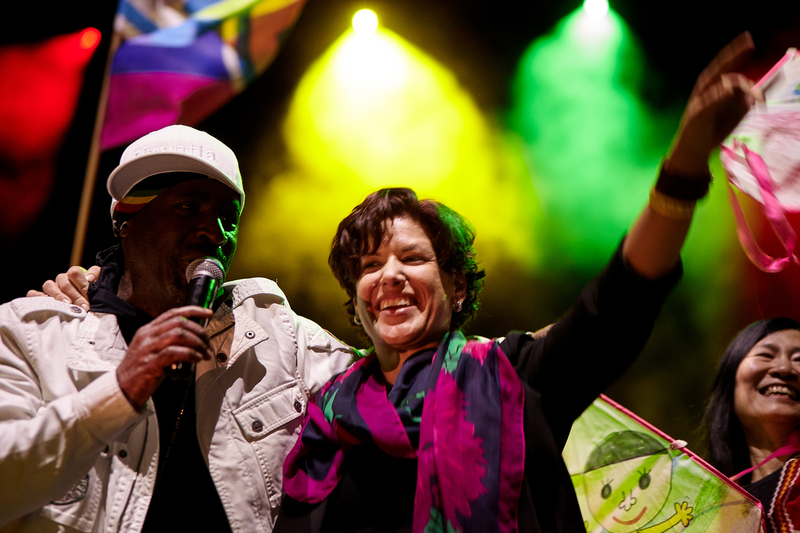 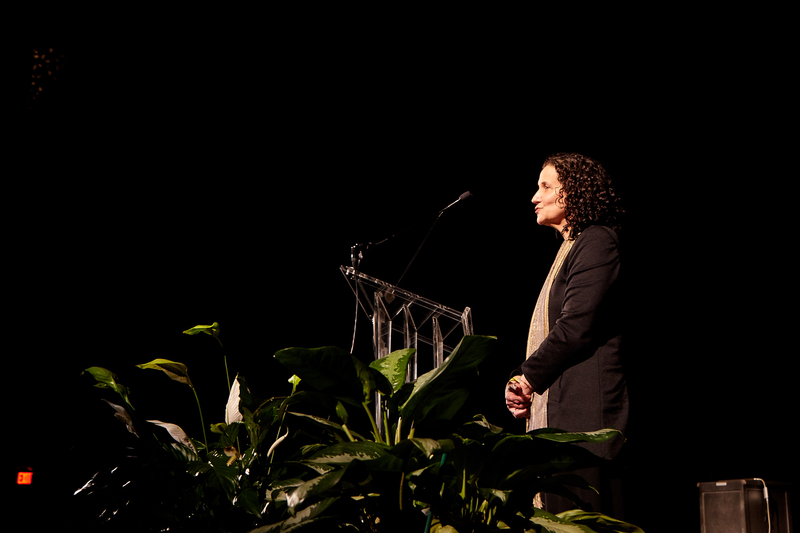 Catalyst earned her moniker by curating projects consciously designed to create moments of true connection and participation, celebrating cross-cultural and interdisciplinary influences, and using the arts to facilitate the joining of forces to create unforgettable experiences and purposeful change. 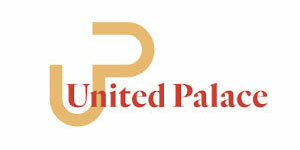 The United Palace is a transformational organization and performance center that fuses spirituality, art, culture and entertainment through spiritual programming, world-class concerts, multimedia productions, monthly movie screenings, dance classes and more. 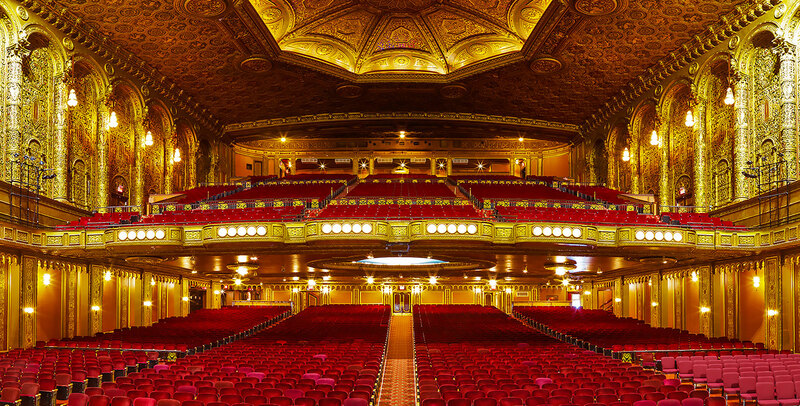 The theater opened in 1930 as a premier vaudeville movie house and one of five Loew’s “Wonder Theatres” across the NYC boroughs and New Jersey. 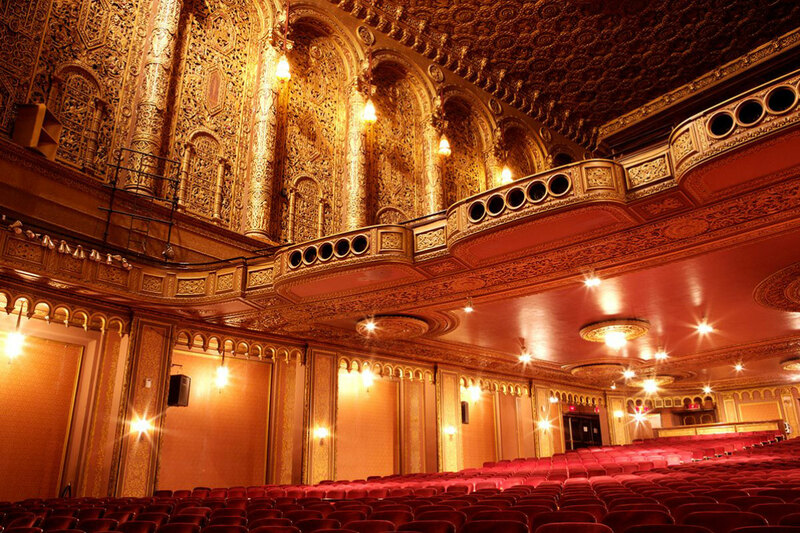 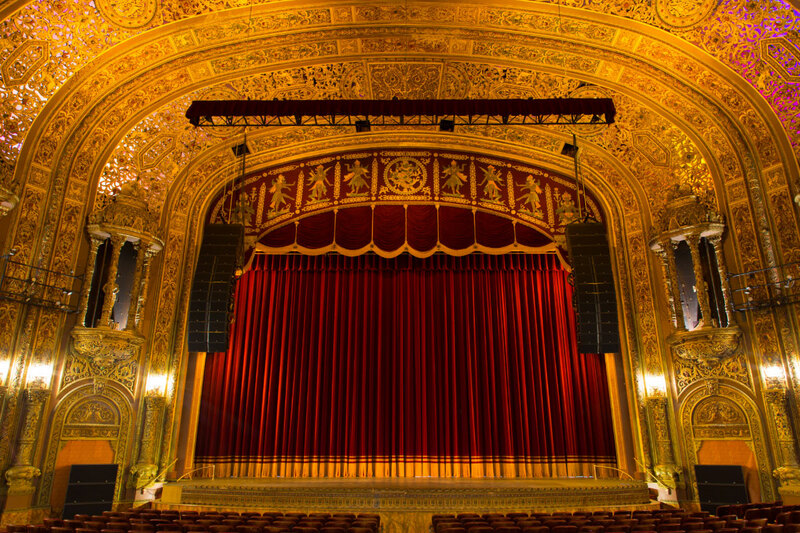 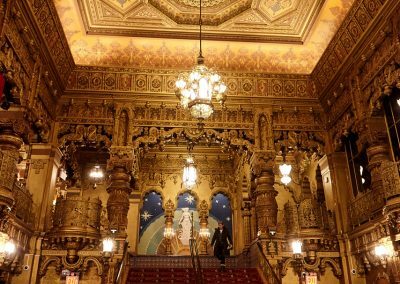 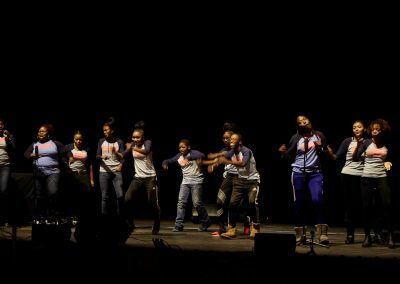 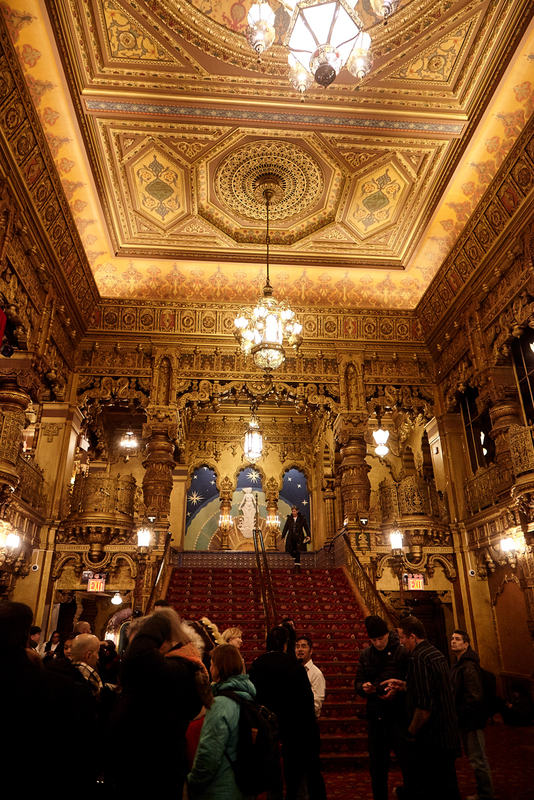 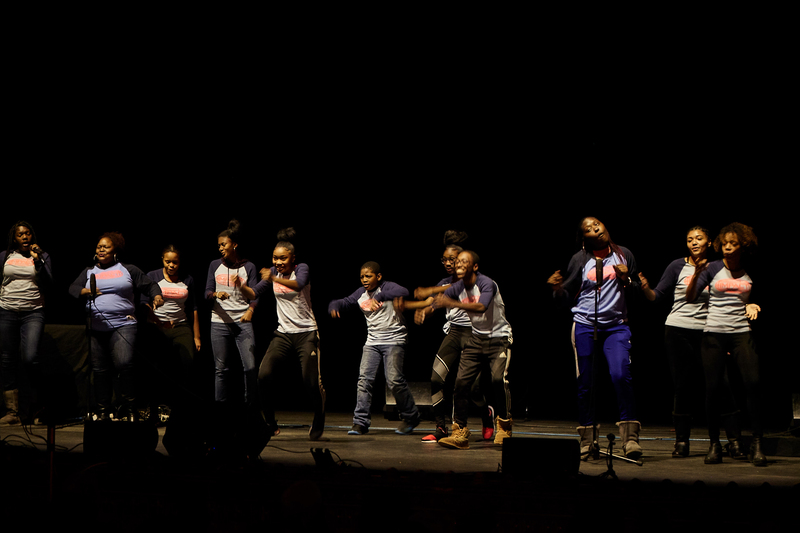 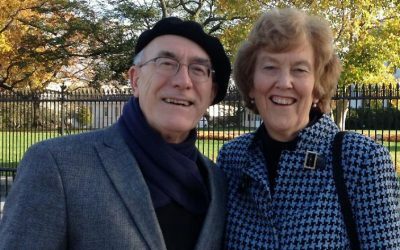 Since 1969, when the theater was purchased by the United Palace of Spiritual Arts (formerly known as the United Christian Evangelistic Association), the United Palace has been an inclusive spiritual center celebrating the world’s great wisdom traditions. 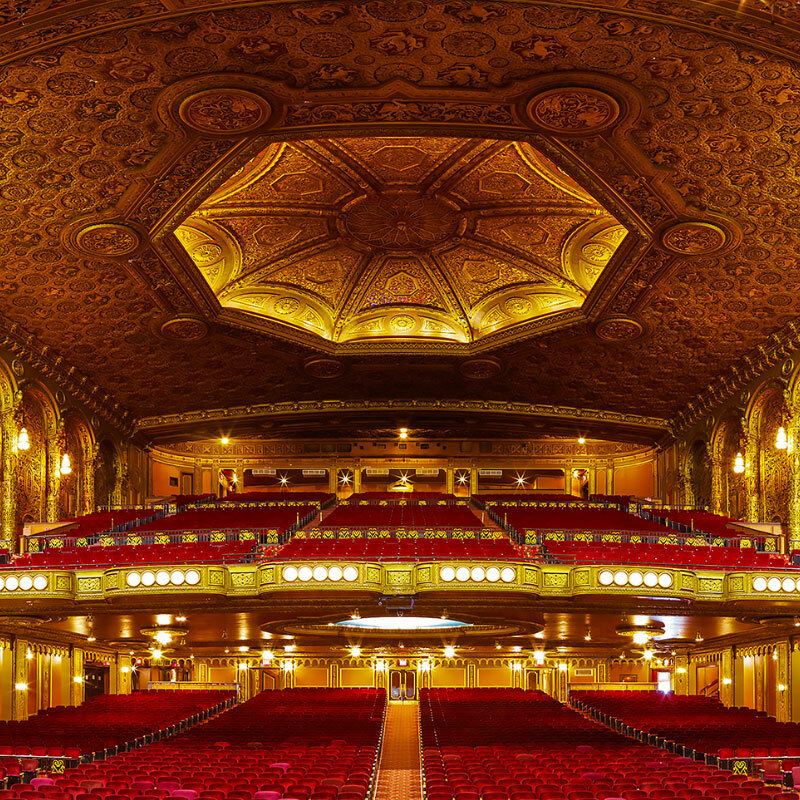 With stunning architecture that mixes international elements and symbolic motifs, the fourth largest theater in Manhattan is more than just a unique venue — it is a hub of creative expression and personal growth designed with and for the community. 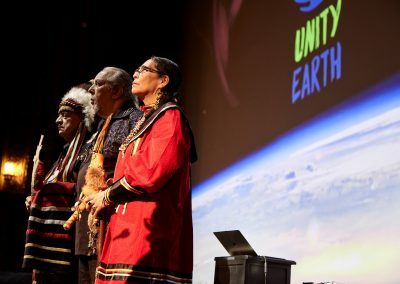 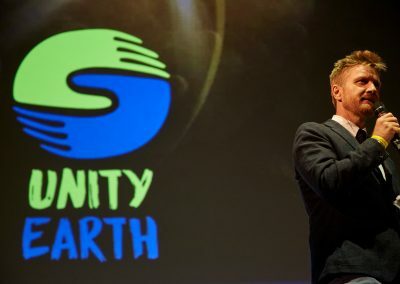 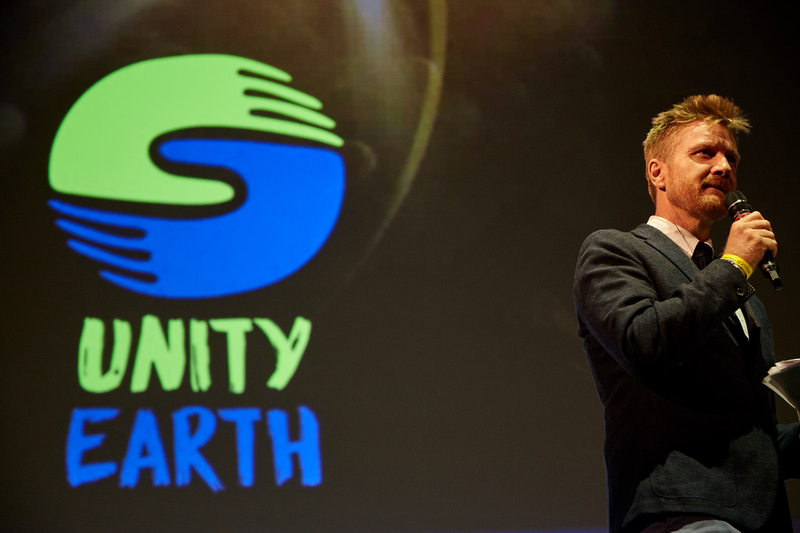 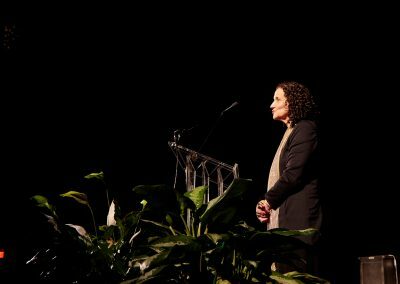 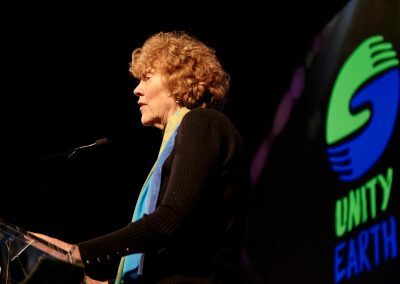 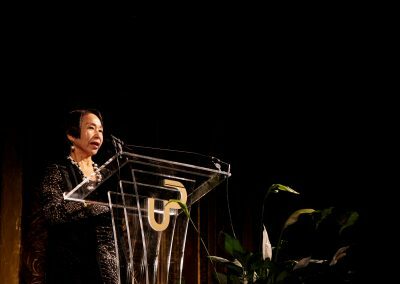 UNITY EARTH LIFT OFF was a catalyst for the global Road to 2020 and its culminating event, the Caravan of Unity Across America. 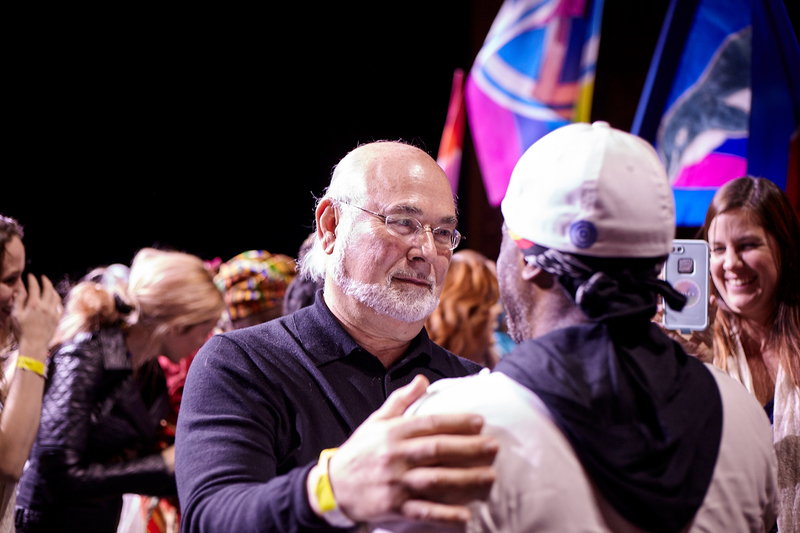 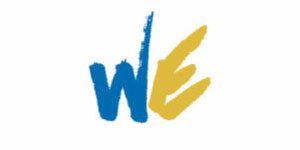 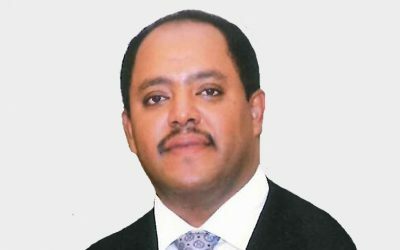 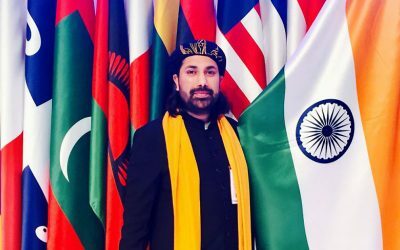 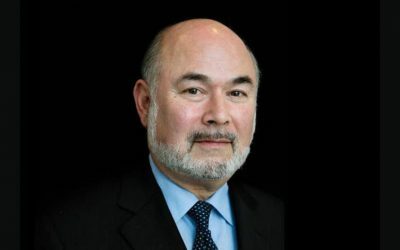 The Road to 2020 is an increasingly public series of events worldwide designed to capture new opportunities for weaving a greater spirit of unity and peaceful coexistence across the Earth. 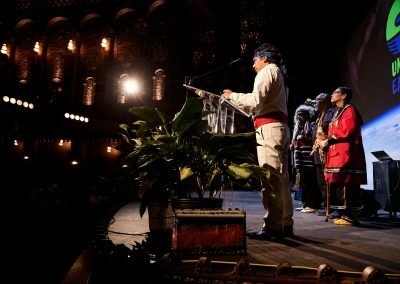 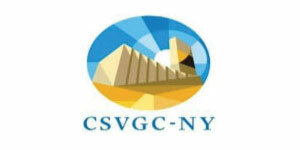 These gatherings, which began in 2016 at the United Nations, all build towards the Caravan of Unity, a globally broadcast display of solidarity designed to bring together grass-roots movements in ecology, arts, the wisdom traditions and social justice. This historic tour will begin in San Francisco on September 1, 2020 and finish in New York on the International Day of Peace, September 21, in support of Sustainable Development Goal #16 (Peace). 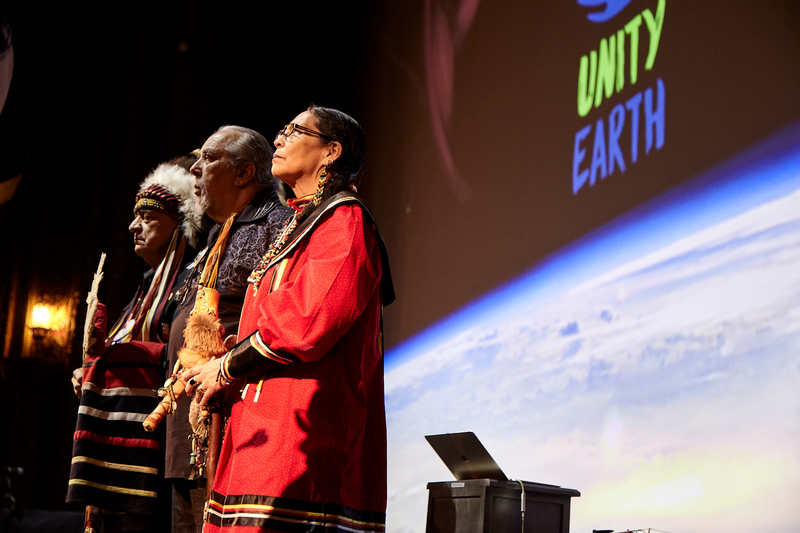 Building on the work of UNITY EARTH’s U Day Festival 2018, which commemorated World Interfaith Harmony Week in Ethiopia at the African Union Commission in February 2018, the UNITY EARTH LIFT OFF event on February 2nd, 2019 will work to engage and inspire the New York community, NGO representatives to the UN, and the diplomatic corps while introducing the Road to 2020 and Caravan of Unity to an international audience.